Yes, but Cherry Mobile actually made the home button on the middle part because the home button's original position is too weird for users. this the cherry mobile candy in the Philippines? The LCD is not of good quality!! Not good, I did not buy this phone, just saw it in a inventory. 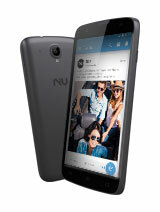 Total of 5 user reviews and opinions for NIU Niutek N109.